can there be 2 ob nixilis's out at once? 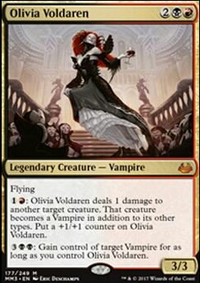 Can a legendary and a planeswalker with the same name be out at the same time? +1: Draw a card and you lose 1 life. Yesterday, I got Tamiyo, the Moon Sage to ultimate with Deepglow Skate . By the end of the game, Tamiyo, the Moon Sage had 2054 loyalty and Aminatou had over 500. I was able to abuse that Bubbling Season combo, flickering Deepglow Skate with Aminatou, the Fateshifter and ultimating planeswalkers Ob Nixilis Reignited twice and Ajani Steadfast once as well. Deepglow Skate also proved to be insane with Parallax Wave . Last week, I used Deepglow Skate to ultimate the often otherwise underwhelming Jace, the Living Guildpact . This deck has loads of win conditions and is fast and powerful while also able to control the board. I lost 1 vs. 1 against Najeela but probably could've won if I would've made a better decision on a Liliana Vess search... should've gotten Parallax Wave or Terminus . cdkime and Boza: Those are very good points about the complexity of PW's. Boza: I was actually thinking about a way they could make less impactful PW's at lower rarities and I have a hunch that they may only have 1 ability (2 at most) and can only tick down. Also, 3 PW's in a 40 card deck is actually a pretty high number when you think about it. In a normal game it is safe to expect to see at least 15 cards from your deck (including your opening hand). With 3 PW's in a deck that means your probability of seeing at least 1 PW in those 15 cards is ~70%. That is a bit alarming to me when you consider how game warping they are. PlatinumOne: Again, I don't disagree with you that PW's can speed up the game when certain conditions are met. Dropping an Ob Nixilis Reignited to remove a crucial blocker and enable an alpha strike can certainly quicken things. However, I'd argue those cases occur less than the combined instances of playing a PW to attempt to stabilize or to just gain value (which do slow down the game). What is important to consider is how the game warps around them. The way they are designed forces a play sequence that slows down the game (see my comment above), which is my point. 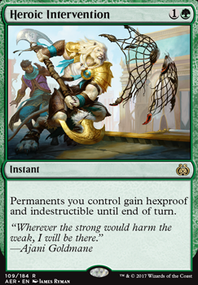 Also, you must play in some very competitive prereleases. 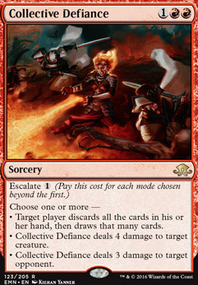 It's Magic's most casual format and everyone wants to play the cool new cards they opened. 3 color decks are pretty common from my experience as people often splash for 1-2 bombs. I still see 3 color decks even at my LGS's competitive event. 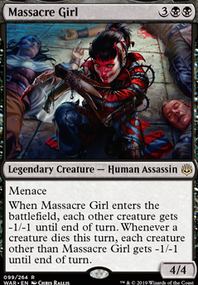 Plus, you forget that this set occurs on Ravnica which has ample fixing at the common level. 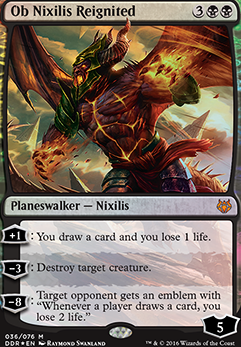 Lastly, I am not sure where your arguments about how creating removal would "defeat the purpose of a planeswalker matters set" and about WoTC not caring about the Limited environment are coming from. a) You can have "x matters" sets and still create ways to interact with whatever "x" is. Just look at Kaladesh/Aether Revolt. Plenty of artifact removal there and the Limited format was still degenerate (for reasons beyond removal though). b) WoTC 100% considers Limited when they design new sets. They have not been shy about making that clear for some time now. Ensuring a balanced Limited format is part of why they created the play design team in the first place. Either way, I think cdkime is right. The play design team has been doing a solid job lately so they should be given the-benefit-of-the-doubt. I am still apprehensive about this next set though. PlatinumOne: Sorry, I am super busy right now so my ability to respond is pretty hit-and-miss, but I was speaking in hyperbole. Of course a normal 5 round pre-release won't last 10 hours, but you understand my point. You are taking an already slow format and injecting a bunch of non-interactive, grindy cards. And unless you are at a fairly competitive pre-release, you can absolutely bet most people will be splashing for their walkers. I have to disagree with you on PW design. Think of it this way, a PW is essentially a life gain spell that in most cases has a way to protect itself tacked on. Whenever they are played resources (i.e. combat steps, removal spells, burn spells, counter magic, etc.) that would normally be used to bring about the end of the game are diverted as a battle over the PW occurs. Now throw 32 of these cards into the Limited format that for the most part lacks the most efficient way to deal with a PW because removal is so scarce. Furthermore, you have to expect a large number of these cards will show up at a lower rarity than mythic. That means the chance to see multiples within a single game/deck increases. You can definitely expect games to slow down. I will agree with you that some of this discussion depends on the individual PW as they can break board stalls, but even then it might take a few turns to break the stall (I am thinking Ob Nixilis Reignited vs. something like Karn, Scion of Urza here). 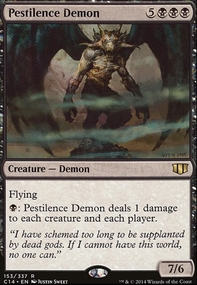 I think the only way WoTC could pull off having so many PW cards without killing the Limited format is to print removal spells at the common or uncommon rarity. With all that said, the play design team has been doing a good job in recent sets creating strong and balanced Limited environments, so maybe things will work out. Ob Nixilis Reignited would be great here, yes? Hi DarkStarStorm, Thank you for your kind reply. I agree with most of your input. Ajani, Mentor of Heroes, Vivien Reid can be easily replaced by other PW, but Ob Nixilis Reignited's -3 ability helped me a lot at removing big creature. 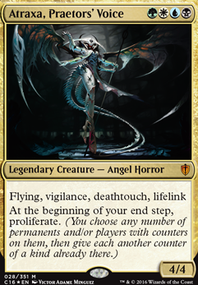 Jace, Unraveler of Secrets, Sorin, Grim Nemesis, Tezzeret the Seeker is in my consider list. since i got a lot to way to filter(Sensei's Divining Top & Scroll Rack) and tutor my PW, not sure if i still need Arena Rector and Captain Sisay.